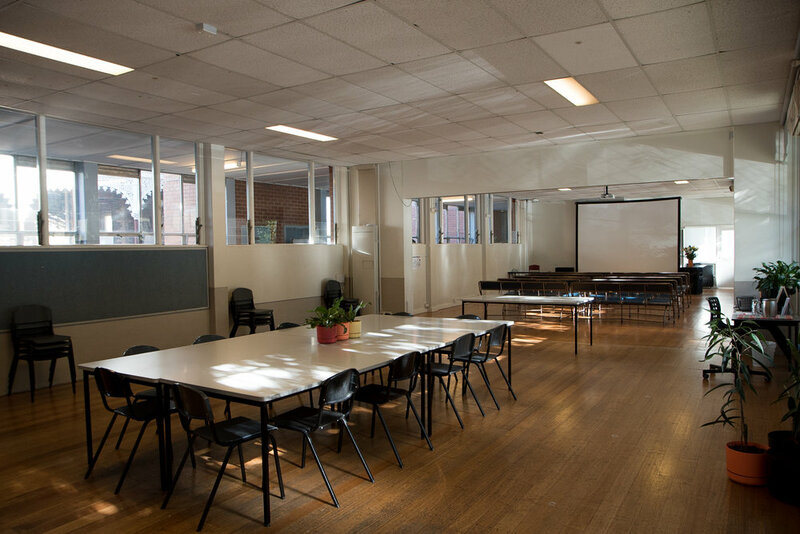 Facilities: Tables, chairs, shared kitchen, WiFi internet, carpeted, white board, pin board, wheelchair accessible. Suitable for: Classes and skill sharing, meetings, theatrical rehearsal. 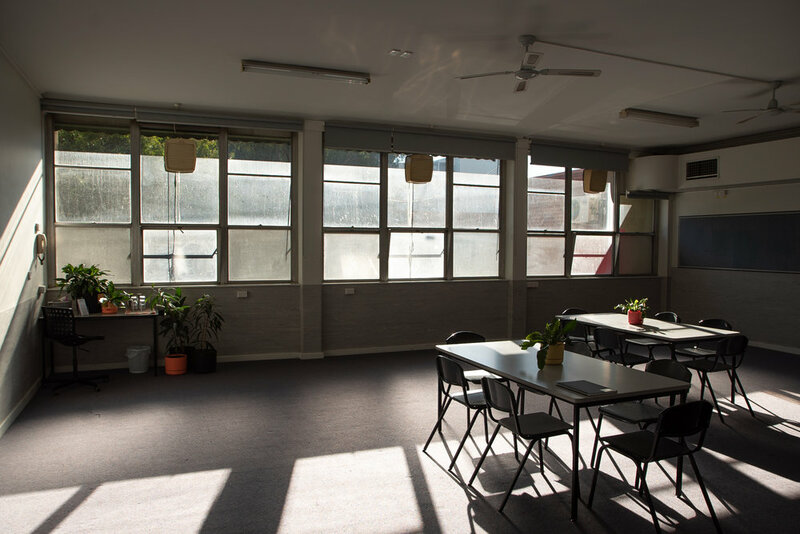 Facilities: Tables, chairs, shared kitchen, WiFi internet, timber floor, good natural light, blackboard, wheelchair accessible. 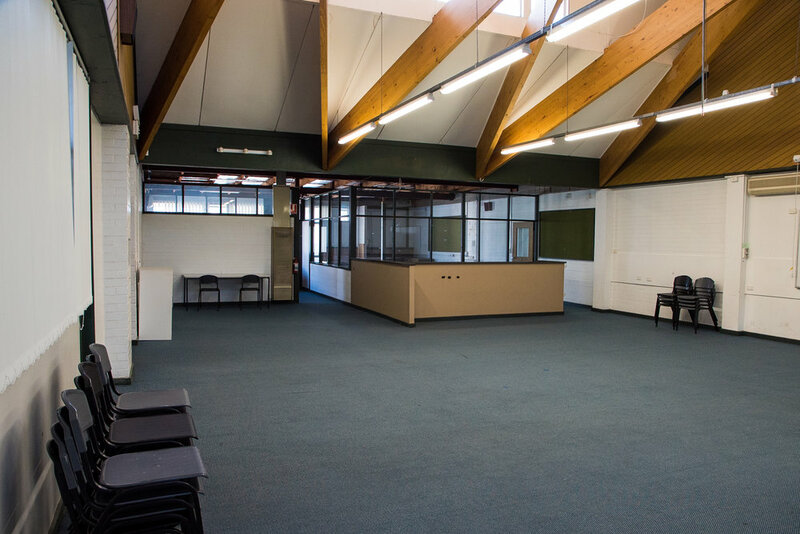 Suitable for: Classes and skill sharing, large meetings, presentations, large group training, large cast theatrical rehearsal, book/campaign launches, film shoot location. Suitable for: Desktop publishing, small team writing workshops and small team training. Suitable for: Workshop-style activities using steel and timber. Any classes held require supervision from a suitably trained workshop technician. Public Liability Insurance of 10mil required to be provided prior to holding any training that uses tools. Facilities: Tables, chairs, shared kitchen, WiFi internet, timber floor, wheelchair accessible. Suitable for: Classes and skill sharing, theatrical rehearsal, exhibition. Facilities: Tables, chairs, shared kitchen, WiFi internet, carpet, whiteboards. Please note: these rooms are upstairs and there is no flat access available. Suitable for: Meetings, readings, recitals, small gatherings. 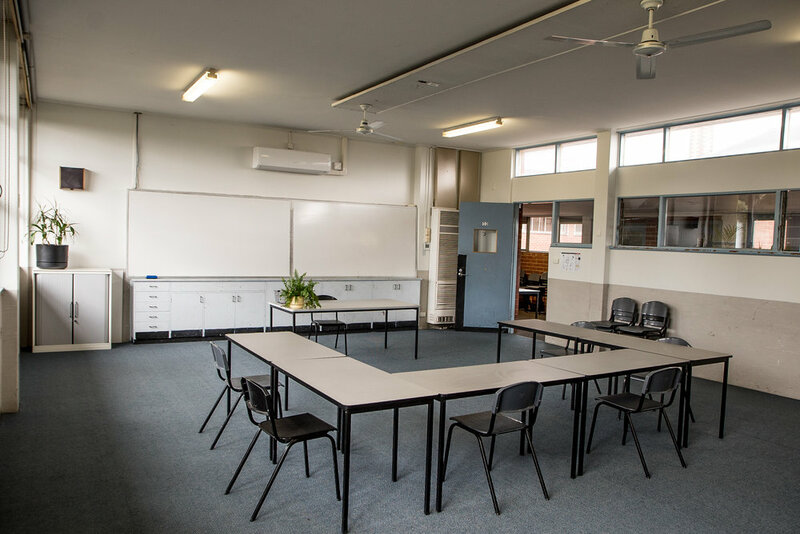 Facilities: Tables, chairs, shared kitchen, WiFi internet, carpeted, white board and pin boards. Please note: The Development Space is upstairs and there is no flat access available.